If you want to destroy your love for cute and funny cartoons, the video game Bendy and the Ink Machine would be perfect for you. No, we’re not trying to demotivate you, but that’s precisely what this video game is all about it. This first-person action horror game, developed by TheMeatly Games, revolves around Henry, a retired cartoonist, who revisits his old studio to work upon on an invitation from his former colleague Joey Drew. There, he unearths numerous secrets about the studio after the ghost of Bendy, the ink monster haunts him. 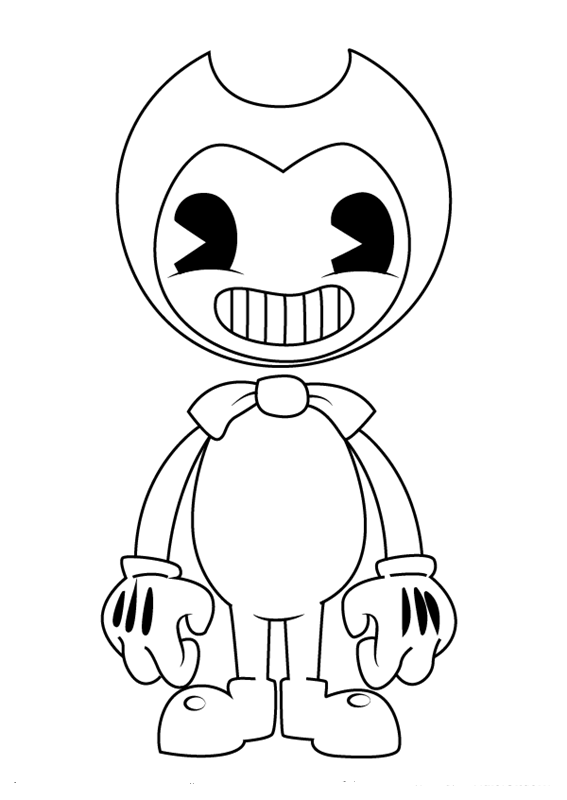 Of late, we’re seeing a rising interest in this game, hence we decided to compile a list of free printable Bendy and the Ink Machine coloring pages. 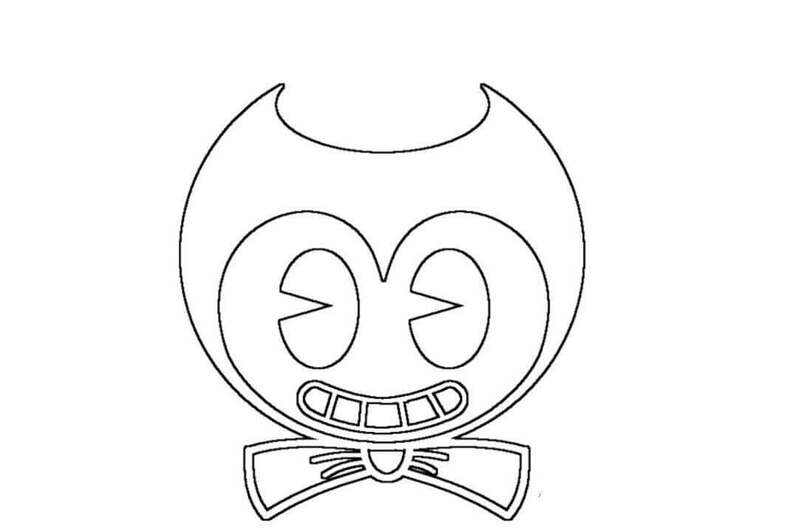 Take a look at our Bendy and the Ink Machine coloring sheets below. 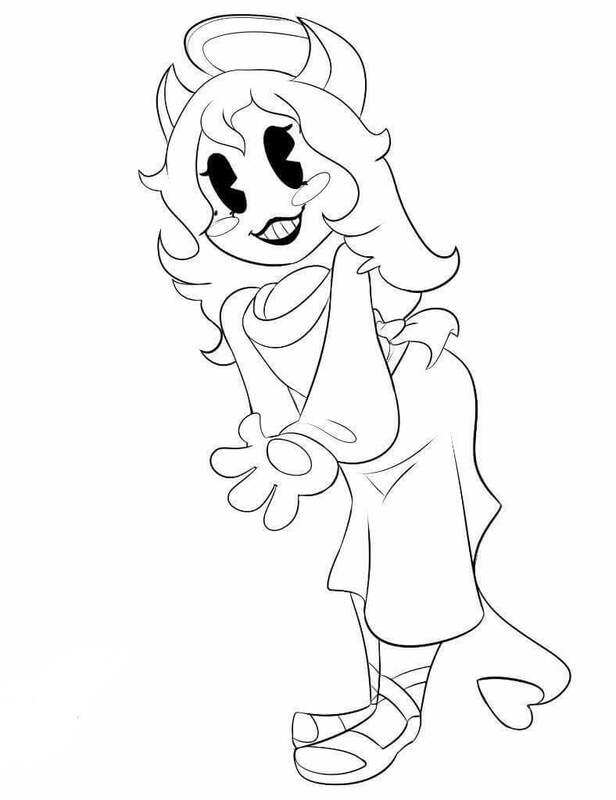 This Bendy coloring page features Alice Angel, a cartoon character which Joey Drew Studios created around 30 years ago in “Bendy and the Ink Machine”. This female humanoid cartoon character has wavy, shoulder length hair with thin brows. She appears in the video game wearing a dress with a short skirt and bowtie. 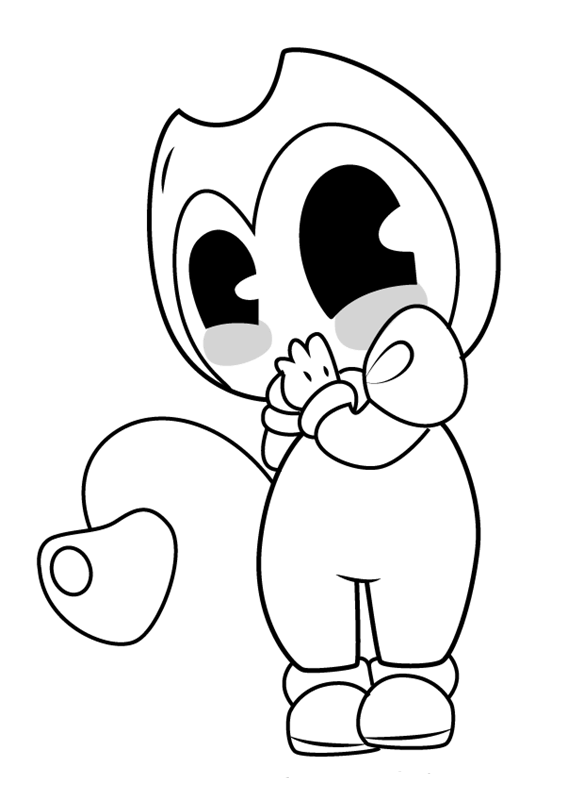 This coloring sheet features Bendy in her baby form and we must say she’s looking absolutely adorable. She looks totally cute with her pie like eyes and that cheerful grin. The bow-tie, gloves and shiny black shoes make her resemble Mickey Mouse, isn’t it? And did you notice, Bendy lacks a neck? 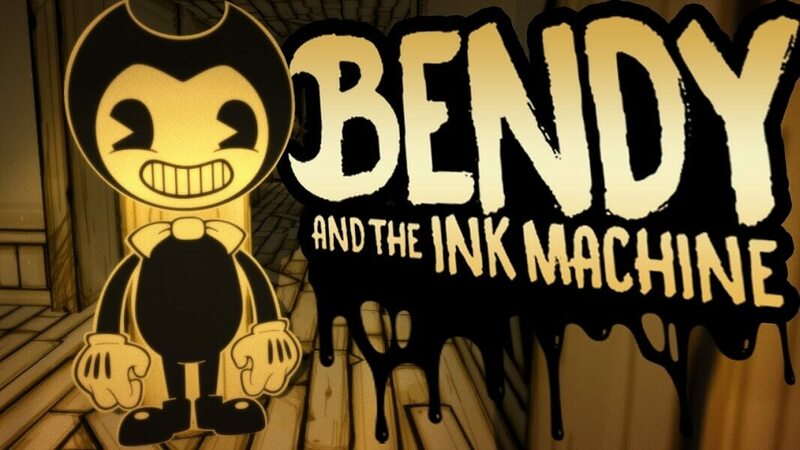 Meet Bendy, the titular and lead character in “Bendy and the Ink Machine”. This flagship character of the studio appeared in a series of cartoons 30 years before the events of the game. Bendy is completely black and white and ha a cheery expression, which looks a bit creepy to us. 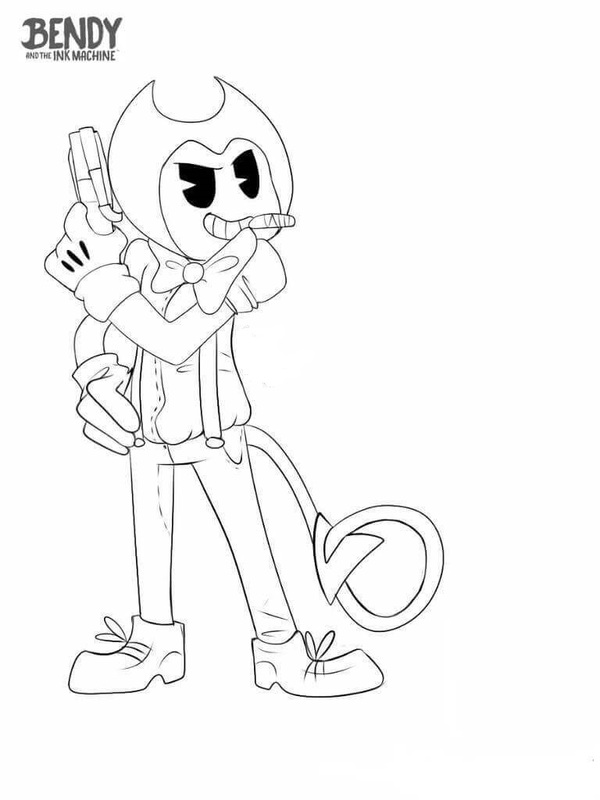 Here’s another coloring page of Bendy from “Bendy and the Ink Machine”. Bendy often appeared in her cartoon shows with other characters from the studio, such as Alice Angel and Boris the Wolf. In the game, Bendy appears as a ferocious cardboard cutout, popping up whenever she sees Henry travelling. The cutouts mostly move on their own, but are sometimes accompanied by Bendy’s cartoon clips playing in the studio. 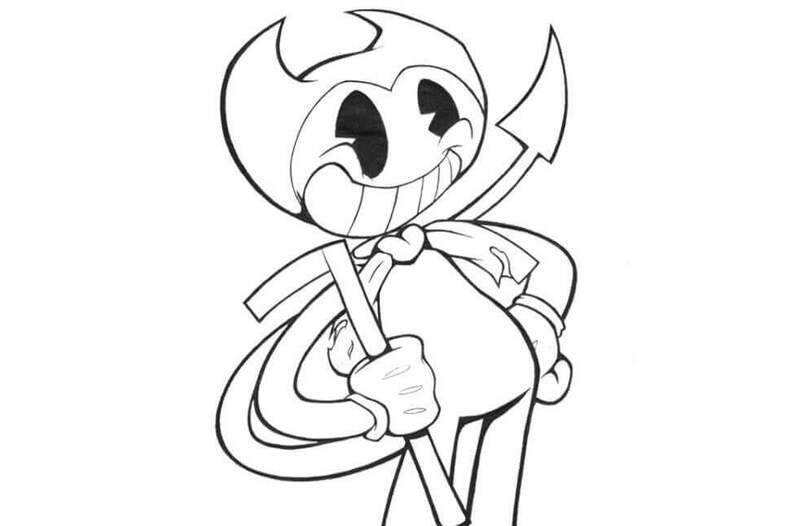 This Bendy coloring page shows this character in various moods. She’s happy in the first picture, sad with welled up eyes in the second and confused in the third picture. 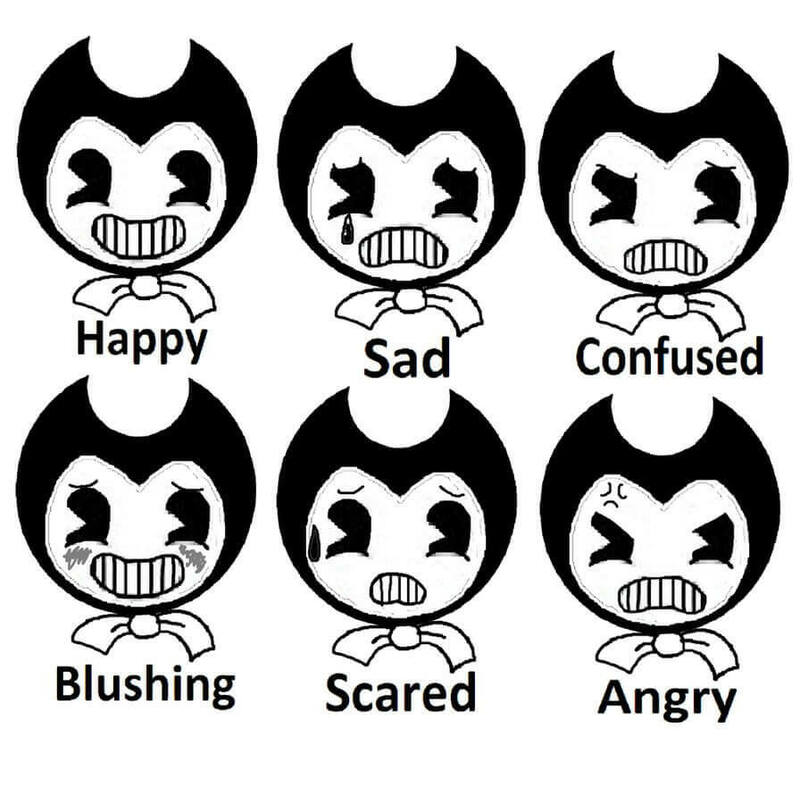 In this fourth picture, Bendy is blushing, in the fifth, she’s scared and in the 6th image, she’s angry. Create finger puppets out of these m emojis to play with your friends. Here’s another coloring page of Bendy, the creepy cartoon. 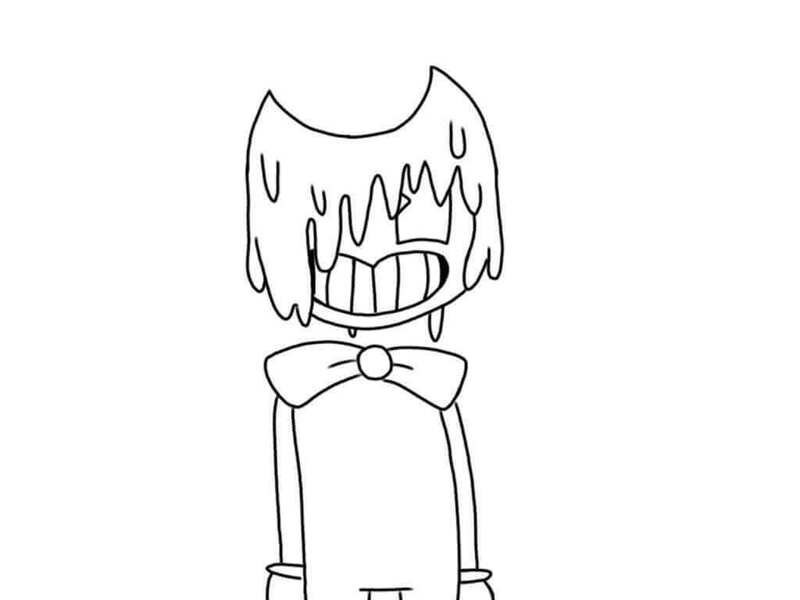 Bendy is an impatient character that gets startled almost easily. However, she’s still very mischievous and cheerful, as his devilish nature implies. Furthermore, Bendy lacks both personality and emotion because it’s supposed to be an object. Perhaps, giving it some color may make it lively. This coloring sheet features Boris, the Wolf, the secondary character in the video game, “Bendy and the Ink Machine”. Just like Angel and Bendy, even Boris was a part of the show that aired thirty years before the game. 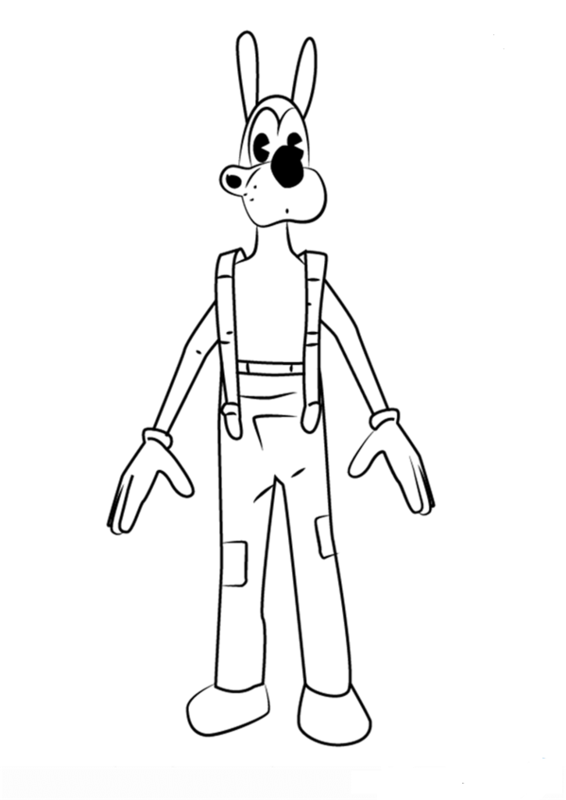 This tall wolf appears in the game wearing white overalls and black shoes. This would be the most exciting coloring page for all video game lovers. 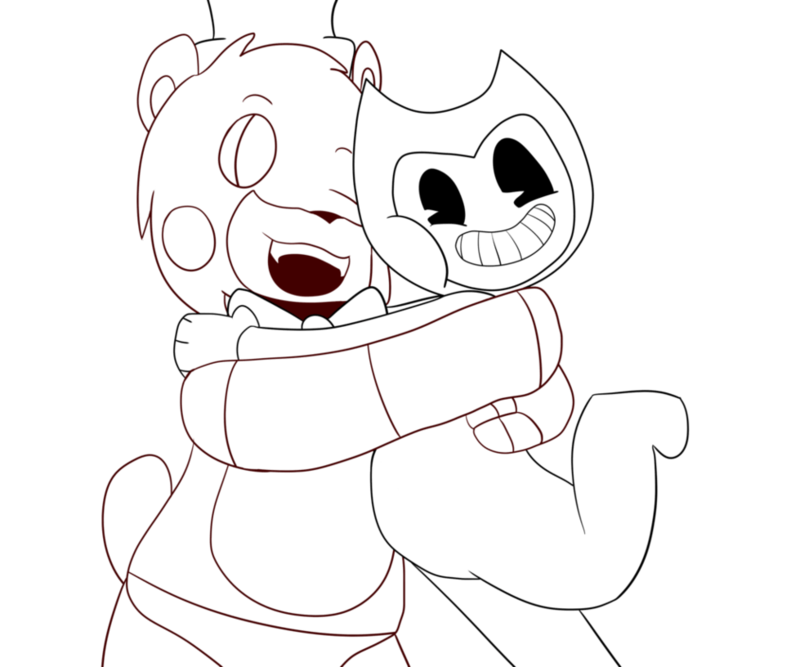 It features Freddy from Five Nights at Freddy’s and Bendy, two of the creepiest video game characters hugging each other. Ensure that you give both these characters’ signature colors, so that they don’t get miffed with you. Here’s a rather simple Bendy coloring image, which even the preschoolers can fill with least difficulty. Bendy’s name is supposed to be inspired by a character of the same in in the series “Foster’s Home for Imaginary Friends”. Even that Bendy is very troublesome. This coloring page features Bendy the Ink Demon, the primary antagonist of the 1st, 2nd and 3rd chapter of “Bendy and the Ink Machine”. It’s basically the ink-covered humanoid-monster version of Bendy. The top area of this demon is melted, which obscures its eyes. And the horns are slightly more curved.